Snippets and pics of a wonderful year ! Thank you for all your support . The Pirate Parade was so much fun! 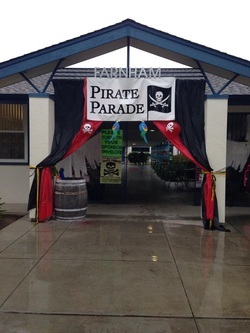 The parent volunteers worked VERY hard to make this day a special one for the children & school despite the rain!! They worked day and night. If you worked as a volunteer or know someone who did please know the teachers and students are very grateful! I know I am . Here are a few of the pictures of Room 15 having some fun & helping the school at the same time! Room 15 was the opening act at Farnham's 4-5th grade music concert . brought so much joy, smiles and warmth to the show. 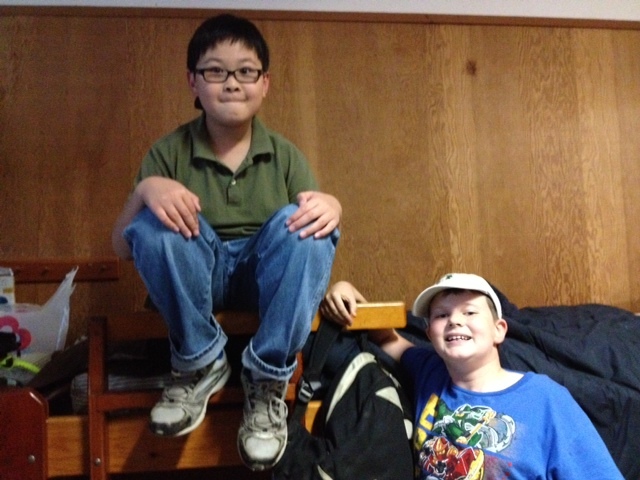 Thank you Room 15 and E.H. You moved me. I am so proud of all who attended . Leprechaun Trap Engineering/Math AR party! In preparation for trap day, we studied simple machines and played 2 iPad Apps- Monster Physics and Casey Contraptions. Then the ''stuff' started arriving for the trap building. 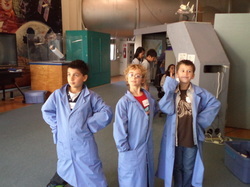 The rest is pure teamwork engineering/math fun! The children had to plan, use a small leprechaun to ensure it could fit through doors, go down slides, through tubes etc. They had to negotiate & problem solve using the classroom materials to trap the pesky leprechaun. Once finished they had to measure the trap's dimensions and give a detailed presentation to the class on how they expected their traps to work. Sadly however, on March 17th, all the traps were sprung, gold and bait gone. However, we had a nice leprechaun this year and he ( she?) left a note & a lucky rabbit's foot behind for each child. 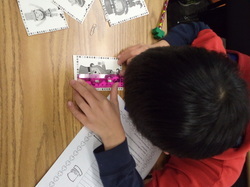 We were also given a fun Measure the Leprechaun math activity. 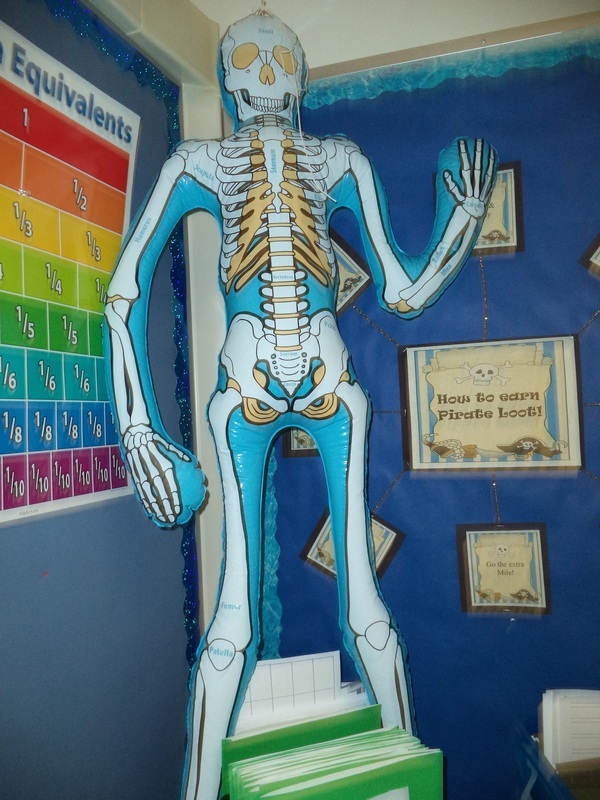 Better luck next time room 15! 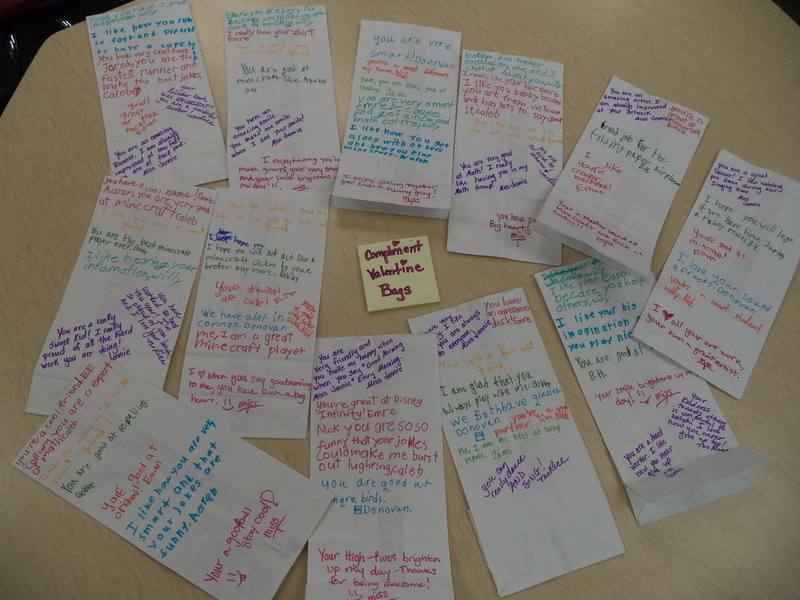 Valentine bags expanded on our compliment challenge for February. The children wrote a specific compliment on each classmate's bag. It was sweet watch all the smiles as they read their bags. December AR party- they earned it again! 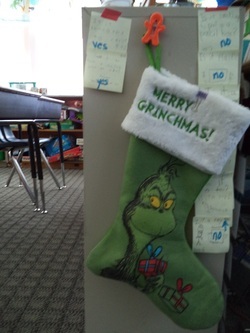 The classroom Elf has left us with many surprises, a writing task and math! 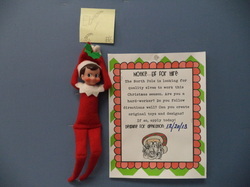 Elfy ( the class voted name ) arrived Dec. 2nd with an announcement that there is a shortage of elves this year and help is needed at the North Pole! I see a writing assignment ahead for the class! Please note fingers, arms and faces ;-) They had fun! Their drawings were incredible . What's in the Stocking? 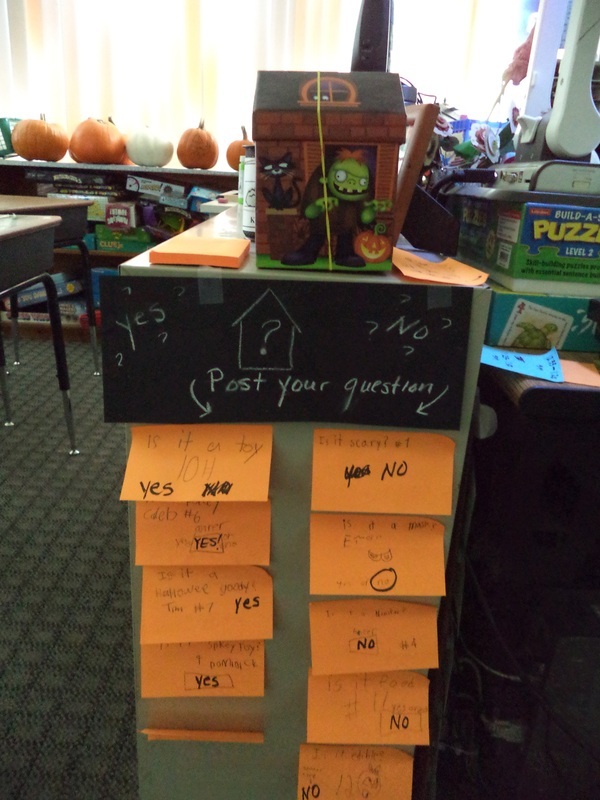 Yes/No questions to win! A heartfelt good - bye to Aumornai on our last day of Bawsi with her. 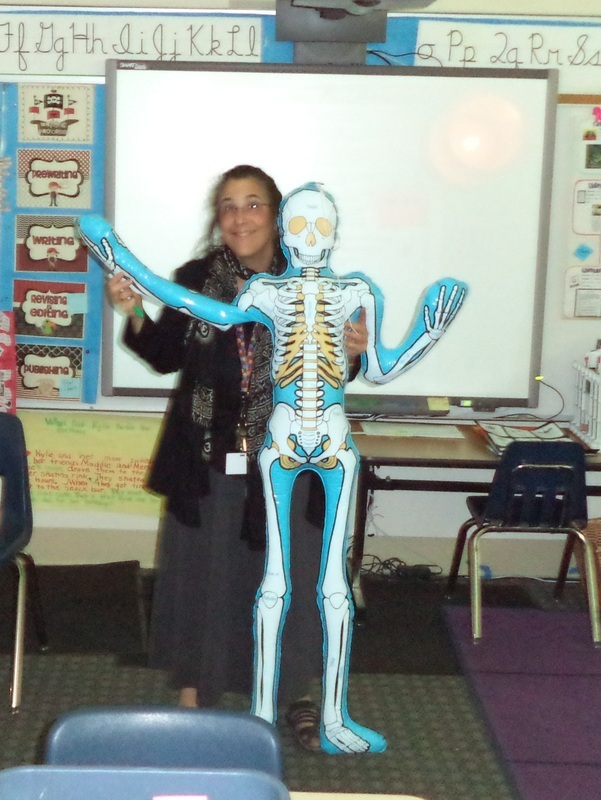 October was a LONG month teacher's went a bit loony. Mystery Prize 20 yes/no questions to win. ANGRY BIRD AR PARTY 1 & Marshmallow catapults! 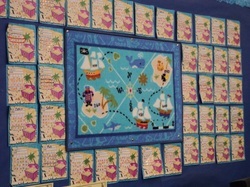 When the children collectively reach specific goals in reading and AR quiz points we have a thematic AR party. Because we were working on our Language Arts Parts of speech unit using Angry Birds ( see work under Language Arts tab) we decided to incorporate the Angry Bird theme and catapult science fun for our 1st AR party. 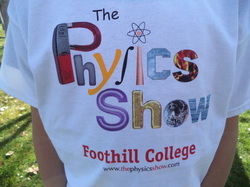 Science Camp ! 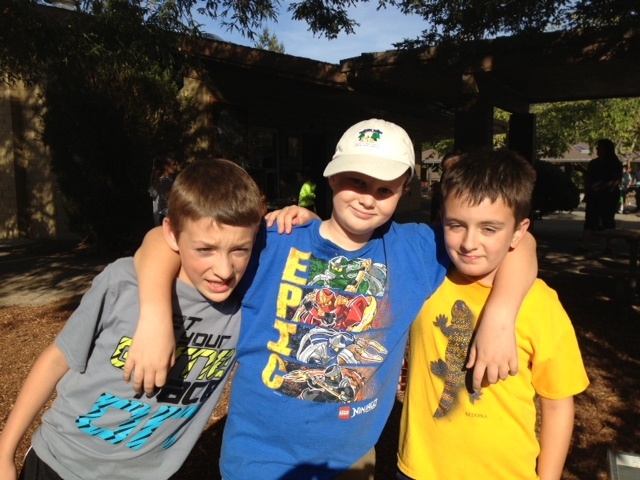 Welcome back 5th graders! We missed you! 1st place!! Standing in front of point board. Talk Like a Pirate of course! September 19th was International Talk Like A Pirate Day. So, Room 15 decided to sing like pirates using our Super Sentence Song we use in class to learn the parts of speech to write super sentences! The brave pirate sang fiercely on the sloop. Arrrgh! USING AN APP ON TALK LIKE A PIRATE DAY TO PIRATIZE OURSELVES! Teamwork ! Building the Classroom Community Each team was given paper clips, a cup ( the capsized boat) , a gummy worm (Fred) & his life preserver. 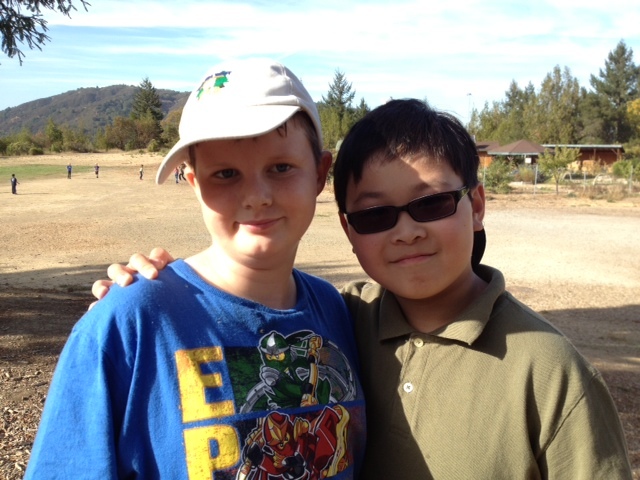 The goal was not to touch Fred or the preserver with anything but the paperclips and save him using teamwork.